Is there any thing that you like from Aldi's? When ours 1st opened, they sent coupons out for $20 or so off your purchase. Hubby & I went, and we bought some rib eyes. They were quite good. We also like their house brand of snack crackers. I don't go there often, as it's way off the beaten path for me. DH loves Aldi's. Goes there all the time. I've been once. Its okay. Their saltines are good. I'm waiting to hear others reply. Winking Owl wine - $3. I've never been to Aldi's yet (just opened near me) but 'the girls' brought the wine to our condo monthly cocktail party and it was just fine. I go there every week, then go to a larger store to get the rest of my list. They are close so I can do them both in one trip easily. I am always finding new things there. Very good cheese selection! I am not always a super-healthy shopper but there is lots of organic produce. Lots of good cereals and granola-type bars. Things like chia seeds, edamame, butternut squash "noodles", grass-fed beef, etc. (at least in my store). Also, brioche bread and rolls and good dark chocolate. I love Aldi. They have better produce than our publix and many things are much less expensive there (lemons $1 each at Publix, $2.99 a bag, Aldi). Cheap organics, too. While a jar of organic peanut butter averages about $7.50 at Publix, the Aldi organic is $3.99, for instance. Commercial cheese is also about half the price of Publix. If you like medium roast coffee, the fair-trade in the blue bag is terrific. However, Aldi stores seem to vary quite a lot. The one near me is great, but there's one not far from it that is dreadful--always dirty and unstocked shelves. I go there every week, then go to a larger store to get the rest of my list. The Bremer brand meatballs are quite good. I prefer the Italian style. Price is also good at about $4.50 for 2 lbs. Their produce is hit or miss but you can get some really good deals if you are there at the right time. Last March I bought 10 lbs. of really nice asparagus for $0.99/lb. I love pickled asparagus! I agree that the quality is much better than it was several years ago. They've added a lot more stores in the KC area which I think helps them broker better deals with suppliers. They have good stollens during Christmas holidays. My family likes the store. Aside from a few stores in SoCal, Aldi's is not a west coast thing. In fact, they do not seem to have much of a presence across a wide portion of the country! Love Aldi's too. They're the best selection in the area for foods from Europe, the Choceur chocolate is the best. The way they keep prices low is to only stock one brand of each product, which it fine for I've found theirs to be better than the brand-name version. I do wish they had a fresh bakery section here like they do in the German stores. Bleu - yes, they have the best selection of Christmas cookies too! My daughter shops Aldi and we went together recently.The produce was really nice and prices were good on dairy/ice cream. As Judy mentioned, don't forget your bags and a quarter for the cart (that is returned when you return the cart). We have an 'upscale' Aldi's near us. Less emphasis on junk food at this one. They carry more healthy stuff. They have wine, but I don't drink wine so I have no idea about quality. The fruits and veggies are ok for the price. I've tried a few things from the refrigerated section. It's not gourmet, but it's acceptable. I shop at Aldi every week. The produce is pretty good, although it doesn't seem to last as long as other stores. I like the frozen tortellini, and you can't beat cream cheese for $0.79 for 8 oz. My husband is big on chips and snack type stuff and theirs are considerably cheaper than most grocery stores. They made an effort couple of years ago to remove all trans fats and other icky things out of their foods. I also like their 12 grain sandwich bread. They also have a double your money back guarantee. If you don't like it they will cheerfully refund you. I once bought a bag of salad mix that had a piece of bark or something in it (I hadn't opened it). They not only refunded my money but they gave me another bag for free. I've also noticed lately that they're starting to carry a lot more name brands. Aldi came to my home town just about when I left for Oklahoma in 72. Now I have one less than 3 miles from me, and I LOVE their dark chocolate with whole hazelnuts. I am out, and need to go buy more pronto. I've never been to Aldi's, but I checked and there are two less than 7 miles from me, but they are not in the best neighborhoods - but still places I would shop. I guess I will have to check it out one day. One store is 3-1/2 miles from me in Inglewood, and so that would not be much of a trek. The further store is in Gardena, and I do go there occasionally for the 99 Ranch Market (Chinese). There are also several Japanese markets in Gardena, but I generally go to Sawtelle for Japanese, since that is closer. We just got back from Aldo/TJ's. Aldi has T&A (my neighbors in CA) 3-pk of romaine for 1.99 (2.79 at TJ's and 3.99 at Giant). I am not big on house brands, altho I've learned to like many of TJ's products. But we got bacon and breakfast sausage to try. An avocado for .49 (will be edible later in the week), cuke for .55 (TJ's has packages of several, or the Persian ones or the English ones). I despise packaged produce that's more than I want. (In CA I could buy loose carrots, and lots of other loose produce.) We also got a square loaf f sourdough (sandwich style) for 2.49. For those who hvaen't been, it's a cross between Costco ("it might not be there tomorrow" but smaller packages. limited selection. Bare bones, most items in the box. Somewhat of a treasure hunt. But I'll check back in. I'm about an hour away from Aldis, but go about every couple of months. Their produce section has things that are very spendy in other stores. I recently bought pomegranates for 59 cents each. I always stock up on butter and cream cheese and eggs, as they are always much cheaper than elsewhere. I also love their brand of jams, etc. I love Aldi. As was mentioned, not all stores are the same. The produce is always great and VERY reasonable. I really like their bread although I am now GF but I still buy it for DH. YES to their chocolates and nuts. I buy their yogurt, milk, juices, etc. Their chicken thighs and breasts are very good. They also sell very lean ground beef. They are very efficient, so I am in and out very quickly. The staff is very friendly, too. 5 years ago I wouldn't have set foot in Aldi but they revamped our local stores to be clean and organized. I have 3 within a few miles and go weekly. I like their Simply Nature brand for avocado and coconut oils. Their selection of almonds and other nuts is very good. I find their produce to be excellent, and the fact that it doesn't last long is, to me, a good sign. Produce that lasts *too* long has probably been chemically treated (or so I've read). Aldi also has that one aisle with random finds... seasonal foods from Germany next to a box of fleece tights... I have to admit my favorite cutting board and storage baskets are from Aldi. I'm in Southern CA and we have two Aldi markets close by. I've only been there a few times but "underwhelmed" would fit for me, too. More of a Trader Joe's girl here. Yes, there is a connection with TJ's and Aldi in that they're owned by brothers. However, the operations are completely different and separate. As I read somewhere, like "estranged cousins." Dark chocolate with either hazelnuts or almonds, fresh produce..out Aldis had avocados for .59 and they are beautiful. Crackers and many vegetarian frozen products. I like Trader Joes also. However, the Aldi near me seems to have more and more products all the time (both "limited/special buys" and regular "always in stock" products). In contrast, every time I go to TJ's (which is becoming more infrequent), they have changed their aisle configuration and carry fewer items. Yes, there is a connection with TJ's and Aldi in that they're owned by brothers. However, the operations are completely different and separate. As I read somewhere, like "estranged cousins." I've read that, too, but in FL they definitely seem to have worked together initially, because when both stores first started appearing (the same time), an area got either TJ or Aldi. Nowadays there may be both in the same area in large urban districts, but we still have no TJ and the nearest they admit to looking to our area is about an hour north, where there is no Aldi, so I'm not 100% sure they don't still do some negotiation. They used to use the same warehouses, too, although I don't know if they still do. For my part, I was disappointed at first that we got Aldi, but actually I find them more useful than TJ, if less fraught with tempting junky stuff. We have two Aldi stores within 5 minutes from home. I don't shop there often. I do look at their ad every week, as I occasionally find something useful, like the $15 extension pole with cleaning attachments that I use to clean my ceiling fans and such. It is surprisingly good quality for such a low price point. I do occasionally find Kerrygold butter and cheese, and sometimes I buy dark chocolate, nuts or celery there, but I find their produce doesn't last as long as our regular grocery. We don't typically eat grains, so I don't buy pasta, cereal, etc. Every time I have been there they have two checkout lanes open and long lines at each. I love the Aldi's that recently opened in our area. Things I especially like are their plain greek yogurt, and most of the meats. My kids like TJ but there are none near us. We have a small Aldi that I could walk to. I love it. I go every Monday and today's the day. Last week avocados for 49 cents as opposed to 1.50 at Wegmans'. I love the smallness of the store. They are renovating an old restaurant buffet about four miles from here and I hope they keep this little one. Great produce, BUT I realize now if you want a particular thing, you need to go when they open. They renovated this one a year ago and it had caught on and is jammed. I think because they have flyers now in the paper. My husband thinks the store cereal is better than GM and he buys the German chocolate bars. Cream cheese at 79cents and I get ricotta there too. I buy most of my chicken there too...cheaper and better and we buy all our Salmon there. LOVE this store. Sometimes I spend more there than at my weekly shopping at mega stores...Giant and Wegman. A German grocery chain named Aldi (started in the early 20th century) was passed along by the founder to two sons. They couldn't agree on running the business so in the early 60's the business was split in two (geographically) in THEN-West Germany, Aldi North and Aldi South. They also carved up the world regions as to which company could operate in which country. Their operations are separate, they have separate owners (families of each brother, respectively) though I understand (Wiki and other sources) there are some limited common undertakings including some marketing and some purchasing. The US territory "belongs" to Aldi South, so US Aldi stores are run by them. Aldi South's US HQ is in Illinois. A quirky guy named Joe started a unique business in SoCal in the late 60s that he named Trader Joes. It developed a cult following and runaway success by offering products not available in other stores. Joe sold the business in the late 1970s to the owner of Aldi North. TJs is headquartered in SoCal and seems to be run locally (but I'm sure there's ownership involvement to an unknown degree) I was a customer during its start up years, they're today bigger with many more locations and have a wider range of products than early on but the vibe of the business and its following are mostly the same as always. Aldi North and TJ's ownership and ultimate top management are the same. Aldi South and Aldi US's ownership and ultimate top management are the same. They're different and separate from one another. Interesting, Elmer. I knew about the brothers and North and South but didn't realize North has TJ's. Anyway, I love Aldi (south, i suppose). Part of the reason is that it's small but has everything and I can be in and out in 15 minutes. Their off brand products are almost always top notch. Their produce is very good, and very fresh. Each store only stocks what they can sell in a day, so if you go in the evening you might not be able to find that cauliflower or the mushrooms you need. Better than having slimy mushrooms, IMO. Last night we had frozen fish filets encrusted with tortilla I think, and they were very good. No fishy flavor. They were inexpensive and a light and tasty meal. I love, love, love Aldi! Aldi is our first stop, too. Cocoa dusted truffles are heaven. Aldi version of Wheat Thins, especially good. Produce specials can be very good...strawberries/ blueberries/ avocados, etc. I buy tons of stuff there, but a recent fav is the jarred tikka masala sauce. You can buy healthy or processed there equally, your choice but it's always cheaper and usually better. Ha, we just bought one of those Choceur chocolate bars everyone is mentioning. I like that we can buy chicken that has not been injected with saline solution, ice cream that is simply cream, vanilla, and sugar, yogurt that is only milk and cultures, ditto for cottage cheese. They have frequent sales on those white button mushrooms ($.69/8oz). Butter prices are the lowest anywhere ($3.00/lb), as are eggs ($.99/dozen). I go to more than one Aldi's and find prices differ-- for example, those egg prices I only find at one Aldi's although they beat other grocery stores at all Aldi's. Broccoli and cabbage both get priced really low now and then. Oh, how about a quart of half & half for $1.99? We buy that all the time. Yellow onions are a staple for us at $1.69/3lb. I really like how small the stores are. I like being able to get in and out quickly and without having to make my way past giant aisles just for cold cereals, soft drinks, frozen foods, laundry products, and chips. All that is there, just in much less quantity or variety. The one here is about 25 minutes away. If I see that they have a really good sale on something I want I'll make a special trip. They often have very good specials on produce, meat and fish. Then I'll buy a couple of things that we have found we like there such as the bratwurst, liverwurst, German soup, saurkraut, and around Christmas they have a lot of German cookies and wonderful European chocolates. But if it was closer I doubt that I'd make it my main source. So many of the middle-isle items are brands that I'm not familiar with. I buy butter there for 1.99. Every week I get mushrooms for $1. In and out in ten minutes. I see many people do their whole weekly shopping there. I like the no frills and we stack our purchases in all the free boxes around. I also buy quite a few things. I have a gluten intolerance and the GF products are just as good or better and cheaper than the larger grocery stores in our area. "TJs is headquartered in SoCal and seems to be run locally (but I'm sure there's ownership involvement to an unknown degree) I was a customer during its start up years..."
Right, their corporate offices are still in Monrovia, CA...not far from us. When I first started shopping at TJ's (circa 1976) their one and only store in the country was here in Pasadena. I've become quite familiar with them after all these years. Could probably shop there blindfolded. There are definitely both pros and cons with their products, but I've got that pretty well figured out for our needs. I'd say theirs is quite a success story. I do like Aldi and shop there regularly. As mentioned, they have a nice selection of gluten free items, and my oldest daughter is celiac. In my small town I have a WalMart, which I hate, they have reduced their grocery selection to make room for more things like seasonal junk and cheap clothes. My only other option is Meijer, which used to be much better but is now horrible at stocking shelves and has also reduced their food inventory to draw in the college students who attend the University here. So they have an entire aisle of beer and two aisles of "salty snacks" but only two brands of pasta and one brand of baking cocoa. And across the street there is Aldi. I just got avocados at Aldi for 38 cents each, they are over $1 at each of the other stores. I buy cat litter there, half the price of the other stores and I like it better. Peppi told me to buy the stollen at Christmas, but I had already baked one and my diet couldn't stand another, LOL. I don't buy bread, I bake my own, but the kids like the chocolate chip brioche for french toast. They have a small selection of local produce and their dairy (cheese/cream cheese/yogurt/sour cream) is far cheaper then the other stores and usually better. Ours is well lit and clean and they always have a selection of things from kids socks to work out gear to cast iron pans, but they'll be gone tomorrow. I usually take my own bags to the grocery anyway, the reusable ones, so I always have some in the car. As for the quarter, I usually get a cart, but leave it for the next person, or give it to someone coming in and tell them to just "pass it on". It's a cheap and easy way to do my "good deed" and I've occasionally heard a child squeal that they "found" a quarter in the cart. That makes me smile. There's one fairly close to me that opened a few years back but I never went there because it's in the opposite direction of 99% of my travels. I *have* been there twice. Once, with a couple of girlfriends. After lunch one day, we decided to do a field trip since none of the three of us had ever been. Bought the $3 wine and a few other items here and there. I thought their prices were pretty good on the whole, and figured I'd return periodically. So, I started watching their flyers and went back a second time to take advantage of a great price on watermelons. I went got there in the mid afternoon of the first day the advertised price was good. And they were out. Permanently. In other words, the entire remainder of that ad week, they weren't going to replenish. I'm all about bargain prices but, you know, there has to be SOME customer service in there. I can buy things on special at the local stores here. I buy a lot of "manager's special" meat, bread, dairy, frozen, and non-perishables, on offer and get some really good prices. I was just totally unimpressed with Aldi. @blubird, you mentioned "beautiful" avocados for 59 cents. That's a great price for a nice size avocado. How big are they? We have an avocado tree so I'm a bit spoiled. They never get very inexpensive around here...unless they're pretty small. @Annie, 38 cents for a decent size? That's the cheapest I've seen. A neighbor of ours put a big box of them out but even those were 50 cents. They were definitely big. I am an Aldi fan also. You have to appreciate it for what it is, and not rag on it for what it isn't! Selections will be limited in general. They have items that come and go (and some that make regular reappearances) - especially frozen items; some items always there; some things that are only seasonal or go away & never return. I try to stop in there to get my boxed/bagged salads, summer squash, peppers and other vegetables on special. Basics such as oatmeal, baking supplies, oils are always good. Just got a bag of very tasty Fuji apples for a dollar less than other local groceries. We like the frozen pizzas too -- there are always unusual ones in the freezer case of equal if not better quality than CPK. This is also where I will get my dairy/eggs/string cheese/ cream cheese. I bought a duck and a ham over the holidays there -- best prices. Just last week got a box of turkey burgers for $1 less than Kroger's sale price. I have to use a critical eye on the fruits and vegetables, especially when they are on a deep discount. I have gotten poor quality sweet potatoes and avocados (but other times just fine at quite a savings). No Aldi's here. I don't shop Trader Joes. I buy very little pre-packaged. Sprouts is better for fresh produce. Sprouts had avacados 3/$1, nice medium sized. Medium eggs are .99 cents every day @ Dollar Tree. Butter goes on sale for $1.99/lb-$2,50lb @ Kroger. All are very close to one another here. I have Hashimotos Disease and my doctor sent me to Aldi’s to get my gluten -free food...they have a great selection and the bread is not like a brick! Nicole, I also like Sprouts for various items. It's one of the few places around here that sells "squaw/prairie" bread that we like. Some good prices on produce, too. So far, their 3/$1 avocados have been pretty small, at least at the two Sprouts by us. I've also experienced the sale item not being available, but as long as they state "while supplies last" in the flyer they have their behinds covered. So when our flyer comes a day or two late that leaves us out. And that happens a lot. I have had that happen also. Once they were advertising comforters for a super cheap price. I was able to get one because I was there just as they opened Sunday AM -- nice quality, I am still using it 5 years later. There were only 4 on the shelf -- the clerk told me that was all they had received and wouldn't be getting more, but it was featured in the ad. We also love the hummus from Aldi. Roasted garlic and the 'Significantly Spicey' one. DS brought in some Sabra hummus so I could compare them side by side. The Aldi hummus was smoother in texture, less gritty than Sabra and no difference in taste that I could detect. I seldom buy meat from (my local) Aldi because most of it is 'enhanced'. Exception is that I do like the hot Italian sausage and the frozen 1# chubs of ground turkey. Once in a blue moon, I might find chicken that isn't adulterated. For just meat without the salt water, I go to Sav-A-Lot for pork and chicken breasts when they're on sale. I buy a lot of chkn quarters in the 10#bag from where ever because those always have been just chicken with no broth/ salt water weighing down the package. Almost 20 years ago I shopped an Aldi's near where we were renting before our new house was ready. I was reminded of that store when we saw a character in "The Americans" settle for the few things available at a government grocery in Moscow in the 1960's. Grim is the word for both. Aldi's is making a big push in the US right now. The Chicago Tribune had a feature on this within the last few weeks. It didn't touch on what's been said here about advertising something you know you won't have in stock. When does that fall into illegal Bait and Switch? I have nearly a dozen places to buy groceries within three miles of my home -- from big chains to small specialty stores -- not including the other stores that are not primarily grocers, like Target or 'drug stores' or hardware stores like Menard's that advertise foodstuffs. A Costco is 15 minutes from us, door to door. Wonder how this will all shake out. Still not impressed with Aldi at all. Yes, they advertise meat and other items very cheap. If you are not the first three people waiting in line when they open, on the first day, they are sold out and no rain check. I view them as a scam. I enjoy the household & Misc isle, all kinds of different items usually a good sale. As others have posted: Trader Joe’s was started by a surfer in Southern Ca, I used to shop Pasadena, was similar to current Grocery Outlets, a store selling overstocks and close outs. Aldis purchased Trader Joe’s. The newer stores are much better. I don't go as often as I should but I like a lot of their products. I also like Joe Vs stores which is a branch of HEB. More of a warehouse type store. Same products as HEB but much cheaper. I've seen advertisements that there are Aldi stores, new ot the area, but I haven't seen one. I can't remember if it was Aldi, or another store in the same design sector, where the concept flopped here. Trader Joe's was conceived as a place that offered "gourmet" and international foods to well educated and well travelled folks, specifically teachers, who didn't have the funds for shopping at specialty stores. They still cleave to that pretty much, though a wider selection of interesting products are now available from ordinary supermarkets. My impression is that Aldi is meant to be a discount store. Is that right? Oh my - there are so many Aldi's near me that I haven't even bothered to stop at one. Every time I turn around there's another one. I guess someday I'll have to pop in and see what they're like. plllog, yes, it's considered a discount market. Begun by the Albrect family in Germany, the name is a contraction of the first two letters of the words in the phrase ALbrecht DIskont (per wikipedia). Yes, Aldi is “bare bones” so they can offer lower prices due to lower overheads. I like them when I’m passing for basic supplies. I’ve noticed that their products often rate very well in comparisons run by our consumers magazine. Here they have a lot of house brand products which look at first glance like popular brand products. Some are quite good, others not as. I've never had any problems with finding the sale items in stock when I go. I avoid the store when the ad breaks because it's busier than normal. So I just go on any day of the week other than Wednesday and they always have their sale items stocked up at my store. Their prices are so good that people tend to stock up and buy a lot of what’s on special. I’ve been in the store when they were restocking cauliflower, for instance, and although they had four big cartons on the hand truck, it never made it to the shelf, because people just grabbed it all faster than they could put it out. Not a lot of people, people buying five or six or ten heads. ETA I never go there on Wed, but I would assume similar things happen with the advertised non-food specials. Ok, the sale items are iffy but the everything else is worth the trip. Nevertheless, I don't have much issue with sale items being out of stock and I don't read the flier but I do go once or twice a week. It's also my closet grocery store, next to Walmart. I love Aldi. I love that I don't have to use coupons or feel ripped off because I don't have one. I love that I don't have to spend precious time comparing prices and brands, so it's always a quick trip. I love that their quality is consistently high, whether meat or produce or pastry or bread or pantry items. Like others, I shop Aldi before I go to the big chain store near me to buy the few things Aldi doesn't carry. I'm lucky to live in an area with several high end groceries, ethnic delis, as well as Kroger, Super walmart, Costco, Meijer. There are three Aldi stores near me and I shop them all. One of the three stores near me does have an in-house bakery. I've never experienced Aldi not having what they advertised in the Wednesday flyer on the weekend when I shop. As for using a quarter to use the cart, I've never had a cart with a bum wheel and there are never carts loose in the parking lots. I carry my own bags and my own produce bags. Most Aldi produce isn't packaged so that is a good thing. And I like that Aldi employees are well-paid and do everything that needs doing and get to sit while they check me out. I've gotten so many great deals at Aldi - even a leather crossbody bag for my mom, which she loves. Most of their stuff is very good quality, and I buy their organics, mostly. We have 3 here in town, and one is the 'fancy' Aldi with more refrigerated/frozen cases and aisles of seasonal home goods. That's the one I shop at weekly. FWIW, their canned organic tomatoes were disappointing. My DD's love Trader Joe's but I fail to see the appeal. This past Saturday a box of strawberries was $4.59 compared to $2.49 at Aldi. They do have u usual things but nothing that I am interested in...frozen entree type of things, "goodies", etc. I did buy a nice fresh wreath there back in December. The housewares/clothing items at Aldi add to the fun. I check for toys for the grands. I got adorable suede boots for my 3 year old GD for less than $10. There are never long lines at our Aldi's . They are super efficient. I live in a community with many Mennonites who buy in bulk at Aldi. They have a van/driver take them to purchase supplies for their own little community stores. At times there will be signs stating a limit on the number of certain items. Wait---Trader Joe's is specifically geared to teachers? That sounds unlikely. 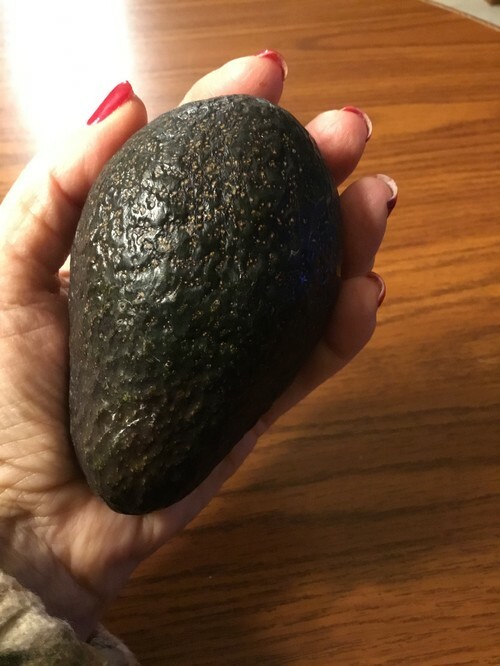 chloebud, 38 cents for an avocado is unheard of here in Michigan, and if I had some spare freezer room I'd have gotten a dozen. I do also like their pre-made mild guacamole and I can actually buy a frozen duck at Aldi, something the other two stores never have. Of course, I raised a couple dozen so now I have my own in the freezer, but I bought them a couple of times. They always have sale items in stock, and they do a far better job of stocking their shelves than the other two, who always have empty shelves and apparently no employees because you can never find one to help. They do not have everything I need, so I do have to shop at Meijer too, but they have started stocking a few brand name items too, like Diet Coke, Hershey's Kisses, Goldfish Crackers. "Trader Joe's is specifically geared to teachers? That sounds unlikely." I agree. That would have been a pretty extreme strategy, to limit the target market to a small and not very affluent group. As far as "well educated and well traveled", I think there's far more of that to be found among people in professions and in the private sector than among teachers. Teacher pay is low. Other than those who feel a calling, it tends to be an occupational choice of last resort for those whose academic records are not competitive with their peers who have done better and who can get better jobs or qualify for grad or professional schools. In my area, it's a sub-middle class wage in a one-wage earner household. Trader Joe's is at our local mall, The Summit, but have not been. Aldi's opened recently by me, and buy their coffee creamer, that's about it. Only go when that's the only item I am in need of. There was an interview program with the founders of Trader Joe's and that's what they said. They sounded sincere, not like it was some made up line, but maybe they're really slick actors and were lying through their teeth all along. It wasn't supposed to be teachers only. Just that they saw a niche and decided to fill it. They were aiming for people who had a wider experience of the world and its offerings than the norm, but who couldn't afford the items from other places. By searching out makers and contract self branding most items, they were able to keep the costs way down. I think Mrs. Joe was a teacher, so maybe they were inspired by her colleagues. You can disagree with them all you want, but to the best of my recollection, that was the gist of what they said on camera with their own mouths. Tonight Aldi had $1.20strawberriess and 49 cent avocados. We love their chicken. In the boneless thighs, they are well trimed and they have small roasters which is what we had tonight. BUT they were out of the canned dog food I started feeding my dogs. They love it. Lucky it's 1/4 mile away so husband can run down tomorrow and get it. We always buy their salmon at $7.49 a pound. Their miscellaneous aisle is always interesting. We've bought items from there like a gorgeous huge orthopedic dog bed for $4.99 a month ago. Choose a specific audience that has a need. Coulombe opened the first Trader Joe’s store to serve the overeducated and underpaid population of Pasadena—the journalists, teachers, museum curators and musicians. He chose this group because its influence is disproportionate to its salaries, and the members love to share their discoveries with friends. Furthermore, Coulombe noted a strong correlation between alcohol consumption and education level, according to the travel and dining publication Gayote. Cilantro chicken, I think it was. This has peaked my interest....going to go today. Maybe it was because ours is very tiny and built years ago. They are opening a new one soon in the center of town. I will have to go again. I have heard a rumor that we are getting a Trader Joe's. I hope so, that I would like to see. One of the things that I truly missed when I moved from San Diego to Columbus was Trader Joe's, and when I went back to visit I had certain items that I made sure to buy to bring home - like the spicy black bean dip. When I lived there, I would make the effort to go there regularly for certain items that were either better priced than, or not available at Ralphs, Vons or Safeway. I love to shop at both TJs and Aldi, since they're not gigantic with miles of aisles and prices are significantly lower for the items I purchase. I love that I can get my weekly shopping done in 30 minutes or less. And because of their cart policy, I've never had an Aldi shopping cart that was broken or dirty. The main thing I don't like about TJs is their parking lots are often crazy busy and not everyone is a courteous or considerate driver. Not sure if it's been mentioned, but TJs has a great return policy too. They'll take anything back. They'll also happily allow you to sample most products before buying. It's certainly true that the chain groceries have greatly increased their ethnic foods and spices, much to my delight. The variety at Aldi is not as large, but still darn good, and cheaper to boot. Their cheeses, jams, nuts, dried fruits, can't be beat. A new Aldi is within walking distance of us. I avoid most other produce and breads. The gluten Free aisle is good and affordably priced. I stock up on GF for granddaughter visits. Brenner brand from Canada is pretty good, reliable. Eggs are local and cheap. .78 dozen. I don't care if the hen is caged or free, or an emotional support animal. Wine selections are poor and minimal. Many items are close to "best by" dates. Carol mentioned TJ's return policy. They're beyond great with that...and other things. Not long ago I bought one of those plastic containers of cherry tomatoes. One of the corners wasn't closed tight, so they gave me two containers and charged for one. My elderly step-father once forgot any means to pay for his purchases at TJ's. The checker told him not to worry and sent him home with the groceries. My mom stopped there the next day to cover the cost, and they refused to let her pay. A couple of people have mentioned broken, dirty and stray grocery carts at other stores. Honestly, I've experienced none of those within the last several years. All the stores here have parking lot corals for carts, which 90% of shoppers use. And as for broken carts, wobbly wheels, or dirty carts? I just don't see it. Is that really an issue at stores where you shop? Never. Most carts here are very new, usually available in a couple of sizes and there are always high school students or developmentally disabled workers that routinely round up the carts from the lot and stash back in their parking area. And there are always paper towels and disinfectant wipes available close by. chloebud, that was really nice of them. The nearest Aldi's is almost an hour away. I do stop by if I'm in the area. I haven't seen anyone mention the Tandil detergent, they have 2 types. One says compare to Gain and the other to Tide. I like both. I like to browse their home goods/other items, too. I'm writing down suggestions for the next time I go so thanks to everyone. I save a bunch on Aldi's paper goods too. Not a huge selection, but they have the things most people use, batteries are a great deal too - dollars less and last longer than the pricey ones, IMPO. And yes! A lot of stores here have issues with messed up carts. I've noticed some have adopted the locking wheels that I first encountered in CA years ago. I think it depends on how high the customer volume is in certain areas, along with the general policy of stores whether to spend money on maintaining their carts. Aldi's EVOO always gets very good reviews. Not the illegal mixed oil that is usually sold in stores. I've only been to Aldi's once or twice years ago. I don't really remember that shopping trip at all. There are two now in Lexington and this post is making me want to go check out one of them this week. And yes, about the crappy shopping carts. Half the time at Wal-Mart I get a rickity cart. Last night went shopping at Kroger in Lexington and one of their small carts was like that and I left it and we just carried our purchases in our hands. Very annoying. I am another long time Aldi's lover. Every week or two I make a trip there and stock up on things like half & half, milk, eggs, almond milk, mayo, chips and cookies for dad, whole grain breads and bagels. Crackers are great also. I will grabs meat if they are on the half price mark down, which is usually 2 to 3 days before a sell by date. Great selection of cheese too. Produce is very nice and they carry the best yellow onions in the Chicago area. Take and bake pizza are nice, for $5. If you are of German descent, Aldi's is the place to go at Christmas time as they import tons of holiday goodies. Stollen, specalatius cookies, lebkucken, chocolates, wines and this year even the advent calendar with a bottle of wine per day! Weekly specials are good quality. My collection of enamel cast iron pots are from them, as is our cool mist vaporizer. Kitchen gadgets are nicely prices so no guilt in grabbing another spatula to add to the 5 I l already have. I haven't tried clothing items except for a shawl/poncho this fall in a hounds-tooth pattern. I have gotten many compliments on that one! They also do ethnic food specials, like Chinese, Mexican, German and Italian. Keep in mind that many items are the Aldi brand, but made for them by major suppliers. I swear the chips are Lay's and the mayo is Hellmans. Aldi now has a competitor in the US from Germany called Lidl. I am hear great things about them also. Getting a little off topic, but there could be a entire, separate topic on shopping carts. How about the lazy people who leave them sitting in parking and/or other spaces they shouldn't be? Just the other day I watched a guy in a truck pull into a space where someone (idiot #1) had left a cart. The truck driver (idiot #2) slowly pushed the cart out of the way with the front of his truck. The cart started rolling and smacked right into a parked car. A few days ago a woman (idiot #3) at Trader Joe's left her cart right in front of the store. She was too lazy to push it another 4 feet where the other carts are stored. The cart immediately started to roll toward a row of cars parked at the curb in front of TJ's. The woman turned around and saw the cart rolling, but she kept walking. I tried to get there in time to grab the cart but didn't make it. It was stopped by one of the parked cars. I posted earlier but forgot to mention the cookware and was reminded by the post a couple above this one. I have 2 enameled cast iron casserole (9 by 13) pans I use for lasagna - I forget the exact price but they were $15-$20. I also have an enameled cast iron dutch oven that I think was $18. "this year even the advent calendar with a bottle of wine per day!" Now that would be an Advent calendar I would like! Those were advertised in my store (as was a cheese Advent calendar) but I never saw them. pkramer60 - I think Aldi's chips and their version of wheat thins (I occasionally have chips) are better as they have a normal level of salt. Most chips such as Lays and crackers are much too salty. I believe they are Wise, not Lays. Potato chips are one thing I don't buy there, along with paper goods--their paper towels look like Boulder, but they are extremely thin. Their organic corn chips are very good, though. Interesting thread. All we have near us in Florida is Publix and Wal Mart. Publix is OK but their produce is awful. There is an Aldi' s about 10 miles away ...May be worth checking out. Big excitement.....going to Trader Joe's tomorrow for the first time ever. Hope I'm not disappointed. Trader Joe's is not a palace. Most of the produce is in packages and they only have the most common selections, not including roots. I was shocked to find parsnips last week, since they only usually have them for Thanksgiving. Most items are branded Trader Joe's though a fun game is recognizing who the maker actually is. But....the but that makes it Trader Joe's...most of the items are the best version (not best unusual, but most right on the button, iconic version) of that item, and most aren't chemical stews. Their Ode to the Classic Potato Chip is just fried potato slices and salt and actually taste like real potato chips, for instance. Trader Joe's isn't special or exciting. More useful and much missed when it's not there. And no matter how big the parking lot is, it's always nuts. But they do have a very good and affordable wine selection (discounting the 2 buck Chuck!) and IME, cheaper prices on most items compared to standard grocery stores. And most of their prepared heat-and-go meals are very tasty and just right for a single person. They also carry tangerine juice, which I cannot find anywhere else. Can't comment on Aldi's as there are none anywhere close to me or even in my state! I mostly agree. Especially with regard to usually so-so produce. But give them credit for spreading familiarity with and enjoyment of delicious arugula, as an example. What takes us back to TJs weekly is the unique stuff, that not easily found elsewhere or found elsewhere at much higher prices. Gruyere/emmental from Switzerland. Smoked gouda from NL. Dried fruits and nuts in bags. Peanut butter made from only peanuts and salt. Prepared salads, fresher than in regular stores because they sell so much of it. Certain of their frozen entree and fish products. And of course, like Whole Foods, no need for a magnifying glass to read ingredients labels as you say. Neither store will carry products that have dangerous ingredients or chemical stews, as you accurately put it. Chloebud....I’d call it a large size for this variety. blubird, that's a Hass avocado and it looks like a nice size for 59 cents. I would consider "average" size to be about 7 ounces. They can get huge on trees here. My in-laws' trees were amazing...perfect Hass avocados weighing close to 2 pounds each. Our own tree produces more of the average size Hass. This is a photo I took awhile back. gardengal, we've lived here a long time and I still think of all the citrus and avocado trees as a luxury. Our lemon tree is literally loaded year round. Decent lemons (not the little ones) never get very cheap here, and people with trees can't even give them all away. I'm such a lemon lover...big time. This tree makes me a happy girl! Peppi, we never saw those advent calendars here, or the cheese ones, but Ashley bought the girls the American Girl advent calendars and they LOVED them. 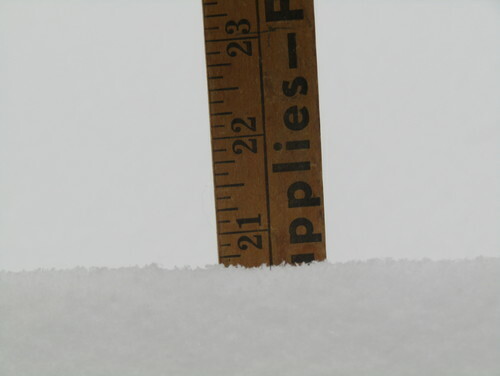 Yeah, we started with 8 inches, so it's really only 13 inches of snow, but it's enough to drift off the end of my driveway and we're still waiting for the snowplow, so I just have to be happy with 4 of them, I guess. Plus, right now it's heading toward 9 below zero, with a high tomorrow all the way up to 1F so I think I'm staying in and canning beef stock. 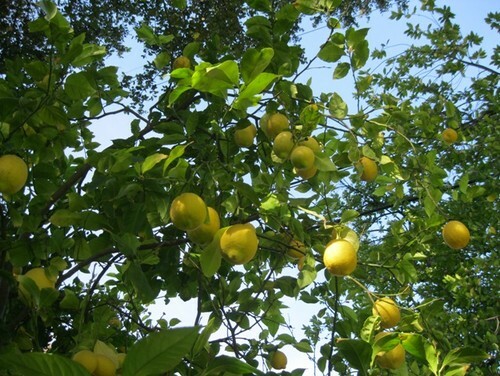 I'd love to have a lemon tree, or more specifically, a Meyer Lemon, but it's just not going to happen, I have no way to protect it in the winter. Sharon/Chase, I'm more excitable than some others, and you know how far North I live in Michigan, so I still like Trader Joe's a lot. We take the 100+ mile round trip every couple of months and buy Triple Ginger Ginger Snaps for Mother, fat free feta and Sambal for Elery, gluten free bagels for Amanda and whatever looks fun and interesting to me. Have fun! I just remembered another great Aldi purchase. Sometime last fall, they had flannel sheet sets for $18. I figured they would be thin and fall apart at the first wash. Ha, no. They are excellent quality, soft and plush, and so far launder beautifully. Even if they only lasted one winter, queen sheet sets for $18 is crazy! They only had a couple of patterns, but I'm happy with what I got. I noticed also that there were some useful looking kitchen and bath organizers well priced, some tempting fluffy throws for $9.99, and the periodic reappearance of mobility assist devices. Whoever was looking for a wheeled cart/basket for going up stairs, Aldi has them right now for $19.99. Annie, that's still a decent size avocado for 38 cents...I think you said? We keep hearing about the snow in the Midwest. It's hard for people here in SoCal to grasp, but I lived in Michigan as a kid and remember it well. Our lemon tree in the photo is a very old Eureka. We have a really small Meyer that hasn't done much...yet. I actually prefer the tartness of Eurekas. Has the Christmas cast iron been mentioned? I can't tell the difference between that and Lodge. I've been using the skillet for 8 years or so and it was around $15. There are three Aldis about forty-five minutes from me and in different directions. Then again, most good sized grocery stores are that far from me. All three of the Aldis are very clean and of a larger size. All the produce I've bought there has been fresh and in excellent condition. When the first one was built, it was limited in size and product. Many years ago it was expanded and the other two were built. They are all good sized stores. I do like shopping at them. Sheesh described some things about Aldi that I didn't realize I liked so much. First, no coupons needed. I despise how retailers manipulate consumers with them. The quarter-for-the-cart issue at Aldi's doesn't bother me, and I, too, like to hand off my cart to an elderly person or a young mother with toddlers in tow. Everyone knows it's only a quarter, but the gesture spreads goodwill. Before I became a regular Aldi shopper, I rarely carried my own bags when shopping, even though I believed in the concept of reusable bags. But after having to buy a few bags from Aldi when I had forgotten mine, I changed my habits and now have a selection of shopping bags I carry with me for all my shopping. I do have to supplement my grocery shopping at other stores because Aldi doesn't carry everything I want. But I've come to appreciate its limited selection in terms of time management. On the items they carry, it's only 1 or 2 brands at the most and this is a good thing. A few weeks ago, I needed to make a pasta dish for a party, and I don't regularly cook normal pasta for my own family. I went to a chain grocery store that had an entire aisle devoted to pasta... I went up and down the aisle looking at the brands trying to figure out the "good" ones. There were a dozen brands and under those brands were a dozen types of pasta. I think it took me 10 minutes to make a decision. Obviously, this doesn't happen at Aldi. My bottle of TJ's Bourbon is several years old now but the flavor is the Bourbon that I had grown up with and not the harsh crap that I had purchased elsewhere then pitched. Bourbon to me is supposed to be mellow not spicy. Annie you can have your meyer lemon. I have several citrus, mostly limes, as house plants and place them outside in the spring but I also have two friends that grow various citrus. One that keeps their plant indoors year round the other has a small greenhouse. Both keep their plants trimmed more than and the plants produce fruit more than mine does. I am waiting for my trifoliate citrus that is outside in the ground to produce fruit. Was a seedling from Flying Dragon but is straight branched. We will see what it does with the below zero temps tonight. I started just getting a few items a week at Aldi and then I realized I spend as much there as I do my megastore. I see people with their carts overflowing so I'm guessing that's their weekly shopping. Right now it's 7 below zero, wind chill approaching 40 below. There will be no mail delivery today, no school and businesses in town are closing because they don't want to endanger their employees. College classes have been cancelled because they don't want kids walking from one end of campus to another for class. So, definitely not going to Aldi today either! It's the first day of their meat sale and ground beef is $1.49 a pound, limit 2, so some of the college kids might venture out, but I doubt it. Annie, ahhh...39 cents! They keep talking about your cold weather on our news. People here come unglued with a little rain. Hard to imagine how they'd handle extreme cold and snow. Wow...$1.49/lb for ground beef...pretty tempting! Well, even we are "hunkering down". Mail delivery has been cancelled for tomorrow too, and state government has shut down. No schools the rest of the week because a bus full of kids in this weather could be deadly if the bus breaks down, even here in Michigan where kids wear layers and heavy coats. The wind chill is enough that "they" are saying frostbite on exposed skin within 10 minutes or less. So, definitely not going to Aldi, or anywhere else. instead I had avocado toast for breakfast with homemade bread and I've got beef stock in the big roaster for canning. One opened up a few miles from my house a few months back. It's not on my "route" so I haven't gone yet despite meaning to check it out. I buy mostly organic (especially produce) so I'm curious if they will have a decent selection. LOVE those big Aldi bags. I have them in my trunk for my trips to the grocery store. In my area, Trader Joes and Aldi are nothing alike. Trader Joes seems more like a specialty, mostly organic type store and Aldi seems more like they knock off regular brands if that makes any sense. That is just my observation of the stores in my area. No Aldi here. I love TJ's! We're getting a Sprouts this spring in a nearby TND. Can't wait to check it out. catticusmockingbird, I think you'll like Sprouts. I find myself there pretty often. I've been into two different Sprouts and I don't care for them. They strike me as an ersatz replica of Whole Foods. A half effort or less overall, maybe deliberately, and with the result of a noticeably lower quality of both products and employees. In one store visit, I had a question- whether the sea scallops were wet or dry. This determines something important, whether of top quality (dry) or processed with a chemical that causes too much moisture retention which changes the flavor and so then ordinary (wet). You can't tell by looking or at least, I can't. The guy working at the fish counter understood the question but couldn't answer it. He went to get the department manager, who also understood the question and couldn't answer it. Finally, they had to call someone to get the answer, which was...wet, so I didn't want any. If the person working the service counter can't answer questions about what's for sale, they may as well package the stuff and put it out for a self-serve display. This has never happened to me at Whole Foods, by comparison. The cheese selection was poor and not of good quality. The produce was so-so. I think some people like it, that's okay with me. I think Sprouts is popular in my area because it has really cheap produce. I like it because it carries some more obscure vegetarian items for a bit cheaper than Whole Foods. Things like my preferred vegetable broth brands and some frozen meat alternatives. Though now I just order from Amazon Fresh usually. We have a Fresh Market near us, and I like it much better than Whole Foods. I think it's primarily and East Coast store. I think Whole Foods has gone downhill since the Amazon takeover ... both in produce quality and employee turnover. We have a Fresh Market too, but it seems to be higher priced that WF. Oh, yes. Amazon is ruining Whole Foods week by week and I shop there less and less. The only Sprouts I've been to has a lot of weird items and while the produce is fine, I can get better at many places nearby. I did like their bulk bin selections, but they had spice beetles and another similar bug in different items bought on different days (obvious in a clear, airtight canister, that nothing could have gotten into at home--and luckily the pests couldn't have gotten out of). That could just be the local store, not their suppliers/distributors, but it turned me off. I'm surprised to hear these views of Whole Foods, I've not experienced what you're saying and I'd love to hear more. The WF stores in my area have the best fish counters in town. Best selection, freshest fish, best quality, and best prices for the best quality. Short of going to a fish wholesaler that focuses on restaurants, something we do sometimes but it's not convenient. Best organic greens in town and not always more expensive than elsewhere. Best selection of meat cuts from the "local" free-range poultry farm that exclusively air-cools their chicken, and better prices than another local market that carries the same line. And at least one of the products from this line is on "Prime sale" each week. A bread selection from the best bakers, on par with a local family owned chain that also has an up-market product line. 365 house label stuff that's moderately priced and usually of high quality. Best cheese selection in town. No second place, the other stores, even the fancy ones, buy from a limited number of distributors who do not offer as wide a variety of sources as WF has. Best example - they have real, aged and stinky quality Camembert, very hard to find here otherwise. There are French brands available in a few stores but most are young and of low quality. They still have IEDs, things that are way overpriced that you need to be careful about. But for the stuff we get there, we really like it. Please tell me what you're experiencing since the Amazon acquisition and what I should be more wary of. Empty shelves. More packaged produce, many with a couple rotting pieces in with the good. Fewer open selection produce bins, and mostly not full. Many basic produce items not available. Workers say they order them but the items aren't delivered. Lower quality meats in the case. No bison in the case. Fewer chickens to choose from and most bigger than I'll usually buy. Less variety of packaged items, many squeezed out by house brand packets. The house brand are fine for what they are, but most aren't as good as the ones that have been squeezed out. Grumpy employees who used to always smile and be welcoming (same people, though they're disappearing to nicer jobs and the new ones are robotic-mannered. No wonder Amazon likes them.). Wow, that's eye-opening. We have two WFs near us that we go to pretty equally but we haven't seen any of what you're describing. I was at one of them today and all seemed fine and normal. I'll now be wary and I appreciate your comments. Where in broad terms are you located? Annie, the wine and the cheese calendars sold out in a day. Fresh Market seems to be slowly dwindling away. In our area it's outrageously expensive, although the produce selection is good. But something in me refuses to pay $6.50 for four chard leaves. I rarely go into ours, but the selection has been dwindling, dwindling for a long time. It's quite noticeable when you only visit every few months. I think their meat counter keeps them going. There's always a long line there. And I will say this for them: it's the only store I know where you can buy one slice of bacon, if that's all you want. Most of the Fresh Markets in the counties south of us have closed. Peppi, I thought they probably did. I looked for one for Mother then realized that she only likes a couple of dark red wines, so most would probably be wasted anyway. Just as well. In Grand Rapids we have a Fresh Thyme, calls itself a "farmer's market", but it's not. Lots of organic stuff, gluten free stuff, can find things like bison and ostrich. It's not as expensive as Whole Foods but not really a budget place. When I go to Grand Rapids I tend to stalk the ethnic groceries and pick up things like a huge bottle of Turmeric at the Mediterranean Market, olive oil at GB Russo's, hit Trader Joe's for the fun of it. Stock up on vanilla and such at Sam's Club. With my own beef and chicken, fresh eggs and my 700+ jars of canned goods, I tend to pick up things like kitty litter and fruit at Aldi and oatmeal and Diet Coke at Meijer. I buy green coffee beans on line and roast my own coffee, so I don't need to buy that at the grocery, and I get bulk tea at the Mediterranean place. I've pared my Grand Rapids shopping trips down to three or four a year, so I stock up. Still, I like Aldi. It's easy and fast to get in and out, because I don't have to walk a mile to the milk coolers. Sometimes I find some fun stuff and the kitty litter is always right in the front! Writersblock, my Fresh Market seems to be going through the same thing. The meat counter stays busy, especially during grilling season. But the rest of the store seems to be shrinking in selection except for seasonal items. It used to be the only place I could find good fish stock but last time I was in there, they didn't have it. Annie, a Fresh Thyme is set to open next month about 5 minutes from me. People are so excited like it's the Second Coming. I'm not sure why... we are so saturated here with grocery stores. But I do like the idea of Fresh Thyme's bulk food selection and will check that out. But something in me refuses to pay $6.50 for four chard leaves. Our WF charges $2.50 for 4-5 leaves. I refuse to buy it. Visited the farmers' market this morning and got 2 HUGE bunches of Bright Lights for $1 each! Needless to say, we eat a lot of chard this time of year. Thanks, catticus. I normally grow my own, except for during the summer when it's too buggy here. We don't have WF, and our farmers' market rarely bothers with chard. I guess kale is all the rage these days. This may be regional, much of this stuff is grown in my state or nearby. The Whole Foods I go to has a great selection of different organic kale and chard varieties year-round at typically $2 or less per bunch for large, leafy, fresh bunches. Almost always better, larger, and fresher than what's found in all the major grocery chain locations. Feathers, the reviews say that Fresh Thyme is much like Whole Foods, but I sure found them to be a lot cheaper. Their produce is good, and not too expensive, but their real "niche" is specialty diet stuff, like dairy free or gluten free or vegan, lots of those choices. Plus, they always have some pretty decent seafood, which isn't all that common here in Northern Michigan. I can go to Fish Lads at the Downtown Market, but I'd have to take out a second mortgage on the farm! I used to grow chard in the fall garden, but have had a problem with nocturnal visitors the past few years. It's real irritating to sow seeds or plant transplants only to have them dug up overnight. The only thing I'm growing this winter is arugula and red leaf lettuce. Getting ready to start tomatoes and hot peppers in a couple weeks. I went to Aldi's in the big city today. First one I went to was under renovation even though the stupid internet said it was open. Went to the other one and it was okay. I bought some guacamole to try, chips to go with it, meat for burgoo, avocados that were 49 cents each, snacks for upcoming road trip, toilet paper (expensive! but didn't want to go to Wal-mart) and a few other things. Bought a bag of onions because in the store they looked great....but as usual when I got home and cut two of them open they were already getting old, had to throw away the outer couple of layers. They were the most expensive bag too...at just over $3.00 for 4 onions but the other bags, white and another group of yellow onions had black mold on them already. Typical in this area. I also picked up some German bratwurst and some bake at home bread to eat with my burgoo. I probably won't go back until right before Christmas to check out the German items everyone mentioned in this post. I forgot to mention, I also picked up a couple other items to try, like their canned ravioli and some strawberry mousse from the freezer section. The meat looked really good, they had beef cut into thin strips which meant no cutting for my burgoo! Kathsgrdn, you just hit on one of the things I will NOT buy at Aldi, which is toilet paper. My sister in law bought some once when she was visiting and it was horrible, thin and scratchy. Maybe I'm just pickier than some others, but I found it unacceptable and I'm not even that television bear! Annie, I bought the mid-priced one because I was too lazy to go to our giant Wal-Mart. The toilet paper is way in the back of the store and it's just annoying trying to find a parking spot, and going all that way in that giant store. I should have gone anyway because I also needed Swiffer wipes, which I paid a lot for at Rite Aid so I wouldn't have to go to Wal-Mart...lol. I did buy the Rite Aid brand, though, which is about the same price as the Swiffer brand in Wal-Mart. I may have to go back to Aldi's before the end of the year, though, the guacamole and scoop chips are delicious! Kathsgrdn, I only know Walmart from their ads, but can't you order your TP and wipes on their app and pick them up at the front door? I think they said they'll even bring them to your car. Plllog, no idea. Our town is small so not sure it is available here. I've never seen those carts going down the isles for that like I see at Kroger. Hey Annie, all the places you mention in GR are my stomping grounds. How far north are you? I like the toilet paper I get at Aldi. I buy the type that's like Scott 1000 rolls, and it's more than a dollar less and seems to last longer too. Bluebell and Annie, I am from Holland Michigan. Where you all at? Thanks for that, carolb. The only paper item I've bought there was paper towels and I didn't much care for those. I buy the 2 roll package of Aldi's Boulder brand multi-size paper towels - also over a dollar less than everywhere else. They're not thin or flimsy like the bargain goods at most other stores. They're comparable to Sparkle brand - but no fancy designs printed on them. I prefer not to spend a lot of money on paper goods that are designed to be thrown away. Their plastic storage bags are good quality for a lot less as well. Aldi's muesli is (was?) fantastic. The last time I was able to get it was about four years ago and then I gave up. People would find out when the next shipment from Germany was and buy up the whole supply once it hit the store. It was a seasonal item in short supply so I gave up. I have gotten to the point when I really like something and can't get it, I figure out how to make it myself. With so many good recipes out there, why not? The only thing I can't do is grow my own food - too much shade and not enough room. But I grow all my herbs which is lovely. Gosh, I would totally disagree with that. I found them very wasteful (thin, but not especially absorbent) and loosely wound on the roll, making them look like you're getting more than you do. To me those were a total fail, and I don't even use paper towels very much. A single roll of a name brand lasts me nearly a year. ETA I used to buy Sparkle, but stopped after I got a roll that was blood-soaked all the way through. Evidently an accident while removing them from the cutter or something, but that they would let that out doesn't speak well for them. One thing about Aldi's is they (the checker) place your groceries in the buggy of the person ahead of you in line. I do make a effort to not be behind someone in the line with little children. Yes, I know some adults can be just as bad about sneezing and coughing on things. Raye, they didn't do that at this Aldi's. They put everything back in my cart, as they did all the other people's things. Kathy - I always move my bags from the buggy I was using to the one the checker is placing my items in. They do that with everyone that uses are buggy. Could it be that you not using a buggy but carrying stuff in your own bags? At my Aldi checkout, every thing goes in the cart that the person ahead of you used, just like Raye's Aldi. Same way at the other Aldi's we have visited. 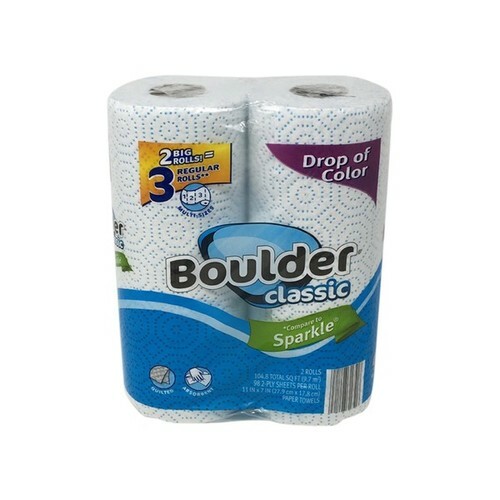 Several years ago, Aldi did have a thin paper towel like Writersblock described...maybe they still do...but I buy the Boulder multi-size ones like Carol. I don't use many paper towels to start with and the Boulder ones are just fine for what I use them for--mostly draining grease off of bacon. Hmm, no, we never have a multi-size one. The Boulder towels we get come two fairly skinny rolls to a package and they don't tear off well. I guess they just do it different here in KY. Everyone moved with their cart full of stuff to a metal ledge after the checker filled their cart back up with their purchases, and used it to bag their own groceries. At our local Kroger, they do use the person's cart that is ahead of you. Unless you have a huge bunch of stuff underneath, like water or dog food, then sometimes they will just pull your cart forward and push the empty one aside. That's interesting, carolb. No, the ones in our store have the same pattern embossed in them, but don't have the Sparkle badge, the 2Big Rolls stuff, or the "drop of color." Kathy, that is different. Here, say you're the first person of the day for the checker. There will already be a buggy beside the checker. As you place your items on the belt they are scanned and the items go straight into the buggy beside the checker. Then, as you pay the loaded buggy is pushed out of the way and you place your buggy next to the checker for the next customer. I think it's faster that way. There isn't a loading area past the checker for them to place items as you would at a typical grocery store. So while you're unloading your buggy the checker can already be working, they don't have to wait for your buggy to be emptied. Judy and Bluebell, I'm 50 miles north of Grand Rapids, Big Rapids is the nearest town to me. Here the Aldi also uses the buggy from the person in front of me to put my groceries in. Farming exposes me to a lot more things than that buggy and my immune system is robust, apparently. I do not use the wipes at all the stores to wipe the buggy handles, my old doctor was adamantly opposed to those and told me we were "sanitizing ourselves sick", and that I should just wash my hands. He also told me that if I used the bathroom and got urine on my hands, and used hand sanitizer I'd still have urine on my hands, but it would be sanitized, LOL. Money is filthy, so that quarter in the cart probably has the same germs as the buggy handle, as does the unpackaged produce and the packaging on products. How many kids picked up that package of chips, asked their Mother, was told "no" and then put them back? Or the orange juice, or whatever. Plus the shelf stockers and the checkers, touching everything we buy, and those returning items to the shelf that people leave elsewhere and the kid an hour ago who stood in that cart with their boots on and then you put your avocado there. Germs are everywhere, from door handles to the kitchen counter where Grandma put her purse after she picked it up from the gas station bathroom floor and the floor of the car (my pet peeve, get your filthy purse OFF. MY. TABLE.) So, I make sure I wash my hands diligently, wash my produce before I use it and hope my immune system holds out, knowing that if I wipe that handle the same germs will be on the avocado, which I'll pick up, get the germs on my hands and they are right back on that handle. Carol, my Aldi doesn't have that kind of paper towel either, just the thin and flimsy kind. I do buy bar mops by the dozen and use them for everything, so thankfully I use very few paper towels, mostly for things like blotting fat from bacon and getting a good grip on chicken skin when I'm removing it. After reading most of this thread, I have decided not to bother going to Aldi's, but especially since it is in neighborhoods that I rarely visit. I never thought of picking lemons, limes, and avocados from my yard as a luxury - it just seems like the way it should be. I do miss the Valencia orange tree I had in Venice because it always had oranges on it. I have blood orange and naval orange trees in my back yard, but they are not big producers of fruit ... yet. This month I will also be getting cherimoya and white sapote fruit from my yard, and I do consider those to be luxuries, although I can buy cherimoya here - they're just very expensive. White sapote fruit does not travel well, and so I've not seen it in markets except in Mexico. The first Trader Joe's I ever went to was on Washington Blvd in Culver City, exactly across the street from MGM Studios. I also lived across the street from the studios, about three blocks from TJ's, but the studio had changed to Lorimar by then, although I could still see the MGM lion from my kitchen window. Sony now owns that studio lot, and my brother works there. Too bad I don't still live across the street from it. Check out is fast, the cashiers get to sit, and they wear gloves while working. They open a new register when there are more than 3 customers in line. And they pay $15/hour. I have several stores near me and have never met a cranky employee. One employee told me that someone from home office stops in monthly. They talk to employees and linger for customer feedback. That's why I like Aldi. I recall the first few times I shopped @ Aldi, I wasn't even ready to pay when they were done & I felt like I was holding up the line! If that's the best someone can qualify for, I guess it's better than some jobs paying less for similarly unskilled workers. It's far less than a livable wage in many places. The $15 an hour depends on where you are. Here they pay $12.35 an hour. I totally agree about how fast the cashiers are. They have half the cart loaded before I can even put boxes in. And they are always correct except once I was overcharged a Xmas cookie item that was marked down but they didn't know it. The cashiers are very friendly and nice too. I don't know what they make an hour here. I stopped at Aldi today. I was curious about their avocado price and size mentioned here. Right now they're 39 cents each (as I think Annie mentioned). I have to say, I was impressed since they all appeared fairly "average" in size and comparable to other places charging $1 each. They were definitely not that much smaller than what we get from our tree. I was somewhat surprised since, counting myself, there were maybe 5 people in the store at noon on a Saturday. They had one checker that I could see. It is pouring cats and dogs here, so that could have factored in. However, we then went to Trader Joe's and they were jammed. Judy, I'm Jenison. (I used to live in Holland and went to college there many moons ago.) Annie our son went to Ferris, so we have spent some time in that area. Bluebell, both my girls went to Ferris too, and I took some criminal law classes there, my Mother used to work in Food Service there, Dad took some accounting classes. I grew up here and went to high school in Big Rapids, so when my Dad died and my stepmother could not afford to keep the farm I grew up on, we bought it from here and moved back onto the farm. So my Dad was born in this county, I was born here, my girls were born here, my grandkids were all born here. Deep roots, I guess. Some of the items sold at TJ's are sold at Aldi's in different packaging and for lower prices. I buy mostly unprocessed foods but have found that interesting. I once bought some paper towels from ALDI but didn't care for them. I usually use Bounty and it was funny to compare a wet sheet of each and ring them out into a ball, the Bounty was at least twice the size of the Boulder one...HA! I got avocados yesterday that were 33 cents each. One lady had probably 50 in her basket. I got three. I ate one yesterday and it was delicious! I'm thinking about going back and getting some more of them. Re the packaging, it makes sense that they'd have some of the same products since they're all contract products from independent manufacturers. If they'll do a run for TJ's, they'll do one for Aldi. So long as they're proper businesses who pay their bills, why wouldn't they? A lot of TJ's products have versions of the same package design as the same product does in its name brand form. They just swap out some of the verbiage. Other items seem a bit different than the same thing made for general sale, and still more may be made to order just for the store. Those are less likely to have the same packaging from store to store. Interestingly, there was a vitamin at TJ's that I liked until they changed the formula of the binder. Then I sussed out the same one in it's general sale form, and it had the original formula. My speculation was that the new TJ's version was cheaper to make (my dislike was aesthetic not quality related). We get all staples there like seasonings, tortillas, meat, eggs, etc. We never get produce there, though. We just have better options, whether you want cheaper or better. Our family of 4 can eat well on roughly 80 dollars a week this way. My son served chicken wings at SB party last night and they were so good. He said he got them at Aldi. Today is my Aldi day so I'll check them out. I buy all my chicken and ground turkey there. Chicken thighs are trimmed nicely. Lily, were they the already made up chicken (frozen) that has the buffalo seasoning already on them? I almost got those yesterday but passed at $5.99 for a small package. BUT, if they are really good, I'd like to try them. The strawberry mousse cups I got at Aldi's the other day were okay. Nothing great. The avocados were good. Tried the canned ravioli and I like Save A Lot brand better. I'm cooking up some Bratwurst right now from Aldi's. Packaging says it's from Germany. It's a little peppery tasting but will have curry wurst ketchup on it so I don't care. I also tried a little of the trail mix with nuts and dried fruit and it was really good. Must be a regional thing. Not a fan. I just stopped by one and what a waste of real estate. A very bad business plan and such a waste of money. TJ's does not impress but I do 'get' the appeal for a young family and needing some quick meals and easy prepared treats. AND the TJ eye opener to try different flavor combinations. Might just open up a future generation to actually cook at home from scratch. Avocados were 89cents and so tiny like what some stores call mini and rotting/over ripe in the tray. Most produce looked horrid. Bagged. I was one of maybe 5 in the store. Entrence was a long row of processed junk chips etc. Then odd canned goods and some ok better than average meats but my stomach was turning so that's a no-go. I bought a cantaloupe, a small bag of Meyer lemons, (I like a couple in the freezer for grating on garlic/ginger/leek soup)...and a carton of nice brown eggs. Check-out person was excellent. Just one. 5% of the store might be ok for my needs so that is a fail. They have too much competition here. My local market is 80% fresh and processed is tiny in the back corner. Arkansas girl...I think maybe they were the ones you're talking about. They were already hot and on the plate and were seasoned with buffalo seasoning. They were hot and spicy but I loved them. FWIW, I've learned not to shop either TJ's or Aldi for fresh items - esp. produce - at the end of the day. By that time, everything's picked over and the best is long gone. There are lots of empty spaces on the shelves too. I go in the morning or early afternoon at the latest. TJ's gets trucks in every day, but I think they come every other day for Aldi here. sleevendog, are you describing a visit to Trader Joe 's or to Aldi? Do you dislike both? When you say, "I just stopped by one and what a waste of real estate. A very bad business plan and such a waste of money," do you mean that the store is not beneficial to you, or you saying that the store does not conduct itself in a way beneficial to the company? If anyone here is familiar with how to quickly research the success (or lack of success) of these businesses, I'd be curious as to what you could tell us. The cheese seems to be good at Aldi's. I don't really like our local one all that much, but once in a while I'll go in and pick up a couple things. I get turned off by the fact that the first aisle, and you have no choice but to go down it, is the Junk Food Aisle. At the end of it, I have little interest in looking around much. Also, the produce at mine looks picked over/old/wrinkled/about to go bad. Artemis, is the entrance to your Aldi's a chute that doesn't allow you to choose another aisle first? That would be an unusual design. All the ones I've been in have space between the interior door to either go straight into an aisle or turn and choose another aisle. sleevendog, are you describing a visit to Trader Joe 's or to Aldi? I'm curious too. Your description, if it is of TJ's, sounds nothing like any TJ's I've ever shopped. I don't see why it matters if chips are on the first isle? Go past them and on to a different section. The Aldi's I went to had snack foods in the first isle too but the first items were actually nuts and dried fruit and combos of both. Avocados at my Aldi this week are 49cents and they are really nice big ones. (Avocados were smaller a couple of weeks ago.) Chips are now on the first row when you enter; booze is directly across the aisle from the snack foods. Actually, the trail mixes (very good) and nuts are the first thing on the snack food aisle. Aldi version of Wheat Thins are every bit as good as the name brand and a lot less expensive. My Aldi is always busy. There is a line waiting for the store to open in the mornings. Rarely, you might walk in and there be only a dozen shoppers; almost always, a wave will hit while you are in the store and there will be fifty or more people in the store by the time you check out. Speaking of mornings/ mid-day, the times that we usually shop. Avoid late afternoon, etc., because, as mentioned, empty shelves. Customers run the gamut from being popular with retired people, young families and white collar professionals. As well as local restaurant owners. I love that my Aldi is small and efficiently run. Mostly I dread grocery shopping but look forward to my Monday Aldi run. Great avocados for 49 cents. $1.49 at Wegmans'. $1.19 for great spinach. They were out of strawberries but blueberries were $1.49. Yes, I was speaking of Aldi. The op's header post and the avocado talk is about Aldi's. It was my first visit a bit off my usual path. I did some research and mine locally is a bit ragged. Clearly they are not all the same. The packaging has larger bar codes so they can zip through the check-out. No weigh scale that slows down individual produce. (when they need to look up each veg and often unfamiliar what it is like my preferred market). The belt seems faster. And clean with tighter packaging. A need for less stock people/employees since the cooler/fridge is holding the produce like milk and eggs right in their cooler...just open the glass door....no need for them to go out on the floor and stock. A code on their produce cards has a 's' in the corner to keep things like berries that are sensitive out less often and some locations take all of those back in the cooler every night. Yes, the one I visited has an entrance that goes all the way to the back ...snack/chip/cereal isle. No way around it. Just does not suit us as it might a family with those needs. We don't buy cereal, canned good, pasta sauce, ice cream, coffee etc so not useful for us. The produce was horrid and the cheese selection was zip. sleevendog, that's how my Aldi is built too. There is a single entrance and it leads directly into the first aisle which is the snacks/chips/candy/cereal aisle. There is no way to get into another aisle without going to the end of that aisle and making that first left turn. My Aldi only has five aisles, although there are shelves on each side, plus the open space across the back in front of the meat/cheese/coffee. As cilantro says, you don't have to run a marathon to shop there. There are no electronics, no photo department, usually no fresh flowers, clothes, shoes, crafts. They sell groceries, bare bones. I don't buy convenience foods either, but as I mentioned I do pick up gluten free items for my oldest daughter, I buy cat litter there, cheese on the rare occasions I buy cheese, and fresh produce. Occasionally they'll have something frozen, like whole duck or boneless lamb, and I'll pick some up. Actually, my Aldi has fresh cut flowers and always has. $2.99 for a bunch--mixed bouquets or a half dozen roses. Right in front of the check-outs. Sometimes they have 'special buy' house plants, poinsettias around Christmas, perennials in the spring, lilies at Easter, etc. Really, you never know what you might find in there. cilantro, mine has the poinsettias at Christmas, lilies at Easter, but they don't usually have cut flowers. Occasionally I've seen them there, but not often. I got the most beautiful flowering Xmas cactus which is still blooming lovely pink flowers. I paid $2.50 for it. Once again I realize just how lucky I am. All three of the Aldi stores I shop in almost always have fresh flowers at the register, seasonal plants like Easter lillies, Christmas cactus, poinsettias, spring bulbs, mums. They also have a wonderful selection of cheeses and special deli meats like prosciutto, copocolla, mozzarella, salami, sometimes even Spanish jamon! One has a "bakery" on site, all three have a huge selection of fresh breads and buns, challah, French and Italian breads. Jarred kalamata olives, extra virgin olive oil, growing selections of Asian and Hispanic foods. The produce here is generally very good, but sometimes meh. I'll tell a funny story. I Love to cook and entertain, and am pretty good at it :) Once after our guests had been complimenting me on once again outdoing myself with such great food, the conversation turned to grocery stores. Our guests all condemned Aldi for selling old food, horrible stuff, they'd never risk their health by eating anything from such a dump, etc. My husband and I looked at each other wondering what to do, as virtually everything they'd eaten that night and every other time was from Aldi. We decided wordlessly to say nothing, lest they all go home and think we made them sick. I still serve Aldi food to them. If we are ever asked, I'll tell, but we won't volunteer the info. After they didn't turn out sick, I'd have informed them. Our Aldi is always jammed packed. That's why I can't wait for the new one to open although I'll continue going to the one 1/4 mile away.. My daughter dissed it too since she loves TJ's but now her husband gets a lot of things there and loves it. But....if the food from Aldi made people sick, wouldn't the health department shut them down? Wouldn't the news media tear them to shreds? After one tiny food poisoning outbreak, a national chain lost a ton of business and it took a long time to recover. I haven't heard of Aldi having dangerous food. I have heard wilted or wrinkled about some items at some stores, but that's a reason not to buy those items, not to dump the store! I've been complaining about that, finding wrinkly items, at what used to be the tip top quality, highest store here, but they used to only have produce so perfect that you didn't have to look, just take the first ones off the top and they'd be gorgeous, so seeing a wrinkle is shocking. 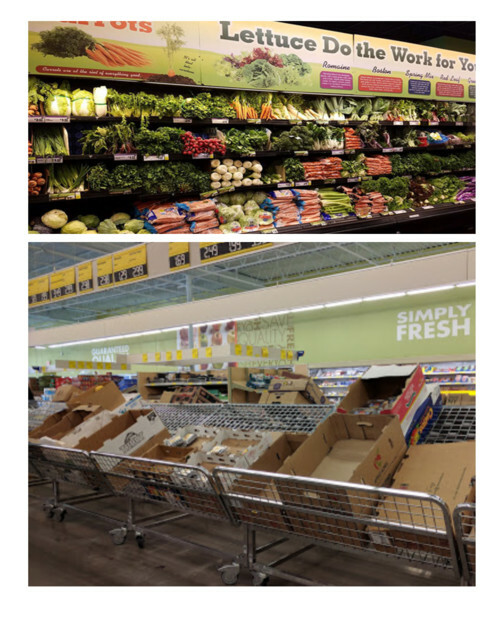 Where I live, the high end grocery stores do have mostly perfect produce and rotate out perfectly good produce (which I'm sure gets sold on or possibly donated), and bring new in. The stores with more practical sense and lower prices, will have perfectly good, fresh produce, but which has a shorter shelf life on average because it's a bit older. TJ's is known for not just the veg, but also the cheese, bakery, and other perishables, for being a little close to the sell by date. Use it or lose it kind of thing. But when perishables perish because one waits too long, I don't blame the store. TJ's will refund anything that you find unsatisfactory--you don't have to bring it if you have your receipt-- and the service desk is always attended and ready to help, so it's easy. Sheesh, do you think it's some kind of snobbism? A justification of spending more? When I entertain, I try to give my guests the best quality I can find. If I need to scrimp, it'll be on the daily stuff, not the company. But I try to plan out my shopping to get the produce that TJ's or the fruit stand, or what have you, has for the better prices and fill in on the things they don't have, or don't have as good of, at the pricier store. Top quality is top quality, and sometimes you have to pay more for it, but often you just have to shop more carefully to pay less. A few years ago ALDI along with a few other stores found horse meat in some of their frozen meals that were supposed to contain beef. This was foods brought in from other countries, I can't remember from where. ALDI dropped the provider as did the other stores. There has been no farther problems. But remember this wasn't just ALDI it was also Tesco and a few others. Closest ALDI to me is 30 minutes away. I get there when I can. I will be going Saturday. My daughter reminded me to get their ketchup. My kids think it's the best. A big bottle...I think 38 Oz cost 1.19. My ALDI is a nice size, very clean, and friendly cashiers. I of course can't get everything I need there but enough to make the trip worthwhile, besides the meat market (family owned, grow their own beef, pigs, chickens) is very close by and I do hit it monthly. The chocolate bars are to die for also the laundry detergent is great. They have two types..one is very cheap and lousy but the other that says* compare to Tide* is very good...I swear it's Tide. The produce is really nice if you hit it early enough in the morning, but by lunch time all that's left is over ripe stuff no one wants. I read that wherever ALDI gets their milk from they are able to sell it really cheap, can't remember the whole story, but it went on to say to buy milk somewhere else and support your local dairy farmers instead of ALDI milk. Oh and ALDI says by 2025 they hope to only sell free range chicken and eggs.. I really do like that my ALDI will sell locally grown produce, when in season of course. Unlike Walmart that will not sell local food stuff. At least in my area. MP...My Aldi actually had Tide the other day. Their 49 cent avocados were the real bright green and bumpy ones I like. Wegman's, supposedly the highest rated grocery store in the country, had brown avocados tonight for $1.49. That mention of Tesco, which I recognize as being in the UK, made me look up horsemeat & Aldi. The event did not occur in the US, though of course some readers here may live where the horsemeat was sold. It was not a fault of Aldi, though. That's really interesting about the laundry detergent, mamapinky. We had tried their powdered product years ago and did not care for it. If we did not already have a several years' supply of Foca, I would try the Tide-like detergent. So although I was there on my Monday run in the evening, husband goes down early on Thurs for salmon so there's a selection. Today he came home loaded and said it was jammed at 9. Gorgeous strawberries at $1.29, blackberries $1.39, tiny organic purple/yellow potatoes $2.39 and the canned dog food my dogs like except they're always out of it when I get there. Lily613, the green and bumpy avocados you mentioned were likely the same as the brown ones...Hass. Hass avocados have a bumpy green skin that darkens to brown when ripe. Fuerte avocados have a thinner smooth green skin. The skin also stays fairly green when ripe. Hass avocados have a richer flavor IMO. Although there are none around me and I have no experience with them, Aldi's can't be that bad. The same survey that rated Wegmans as #1 in the country also rated Aldi's as #7. Whole Foods was #6 and Trader Joe's #4. Most other big chains didn't rate at all! My Aldi now has the Fusia Asian broths. I picked up the Pho to try, and made soup with it yesterday for dinner. I like spicy Asian soups this time of year so I'll go back and try the others and stock up because it seems this is a limited supply item. Mine also has seasonal plants. I picked up some paperwhite bulbs in Nov and they were perfect for the holidays. One of my favorite house plants is also from Aldi. It's a red aglaonema--I actually bought 2 and both are healthy. Matthias, I LOVE FOCA, it cleans and whitens whites fantastically...but...yep there's a BUT. Lol...avoid using it on darks. There's a ton of brighteners in FOCA which is a problem for darks. Ever see a pair of black pants that kinda look between dusty as if they were used to dust furniture or a faded appearance...that's what brighteners do to darks. But for Whites FOCA is amazing. And the scent is light and delightful. LOL. Sadly I can no longer use FOCA as it suds too much in my front loader. This may have been mentioned but anyone use ALDI vanilla? It's surely cheaper than other places but if it's no good it's not worth me buying even if it is cheap. Lily, wow amazing price for your produce. I have been craving berries so hope I am lucky enough to find some Saturday. As for avocados...this is shocking to admit but I've never eaten one. Not even a taste. I could pick some up but have no idea what to do with it once I get it home. Lol...Google will come in handy. Doesn't ALDI have two different types of paper towels? A cheaper and than a premium. I probably will buy them. I usually only use paper towels for dog messes and working with raw meat otherwise I use flour sack towels which I call my non-paper towels. Much cheaper in my household. I take a long time in ALDI because I'm not there often and I like to look at everything and study the ingredients on things I may be interested in. And yes the first aisle which I also can't bypass is the junk food. We are in that section forevvvveeeer because I'll have both grands with me and they each get to choose something. So after what seems a long time they always end up with the gummies, tooth rot treat. LOL. plllog:Sheesh, do you think it's some kind of snobbism? A justification of spending more? 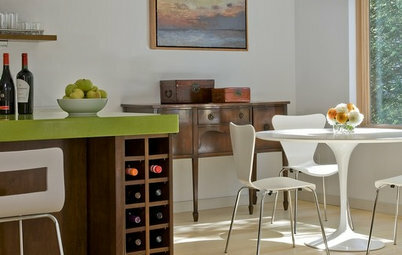 BUT THEN YOU WRITE :When I entertain, I try to give my guests the best quality I can find. If I need to scrimp, it'll be on the daily stuff, not the company. But I try to plan out my shopping to get the produce that TJ's or the fruit stand, or what have you, has for the better prices and fill in on the things they don't have, or don't have as good of, at the pricier store. Top quality is top quality, and sometimes you have to pay more for it, but often you just have to shop more carefully to pay less. Very confusing, plllog. I'm not scrimping on anything! Why do you consider shopping at Aldi scrimping when in the same paragraph you ask if it's some kind of snobbiness or justification for spending more? You then say you scrimp on your family, not your guests. Very confusing. Mathias, thank you. I well remember the horsemeat story. Some people never forget the misinformation they get. Or maybe they misremember. gardengal, you don't say what survey you read. I'm familiar with the four high ranked you cited - Aldi, Trader J's, Wegmans, and Whole Foods, and I'd say that each tries hard to fulfill a niche of uniqueness by being what it is distinctively. For each, competitors don't seem to be able to mimic them successfully. Someone familiar with each of these four could be blindfolded and taken into any one of them. With the store's name masked from view inside, I think anyone could immediately identify what store they were in. Being different and consistent within a theme is a clever tactic in a business (grocery stores) where mostly one store is the same as any other. Judging by the success of these 4, the approaches work well and are appreciated by customers, each for different reasons. "Some people never forget the misinformation they get." So true. And a different angle, many have trouble recognizing misinformation or intentional disinformation altogether. There is no fake news but there is plenty of fake spin. Chloebud...I know the green bumpy ones are Haas which are the only kind I buy. I know that the brownish ones at Wegmans are Haas too but too far along ripening. I like mine rock hard so they ripen well at room temp. MP...I slice avocadoes on grained bread along with hardboiled egg and mozzarella cheese and make a panini every day for lunch. They are also good sliced in a salad. It was an August 2018 ranking reported by Food & Wine, based on shoppers' preferences. But the same ratings appear elsewhere so assume it is the same study....just do not know who initially authored it. Lily, I agree...buy them when they're hard...unless you're using them asap. They don't ripen on the tree, so they're rock hard when I pick them (our tree is a Hass). It's kind of nice you can "store" them on the tree, especially when you have so many! My trees were Fuertes. Those could get pretty big, the size of softballs! I never noticed (or don't recall now) that they were less tasty -- they made good guacamole! I did spent the time to seriously lock in on all products. I could definitely make a stellar meal worthy of the most picky snobbish guests but that was not on my journey list. I was just curious via this post. Smart marketing is listing a sales flyer on-line for the next weeks sales in advance. That must be the nutty store opening stampeed on that day. Whatever that day is. Money savings for a big family is obvious. And just because it is organic or gluten-free snack/chips does not make it good for you. : )...still processed. DH does our grocery shopping as I work long hours...I did the one shopping trip before thanksgiving...we did that together. I do the list and he does his best. I bet I was in a grocery twice all of 2018. He would be lost in Aldi but I could navigate good deals easily. My local market above, Aldi below. raee, I agree Fuertes are tasty but not quite as rich. Maybe it's more of a texture thing with me. Bacon avocados are yet another variety and definitely have less flavor and are kind of "watery." However, I've only had them a few times. 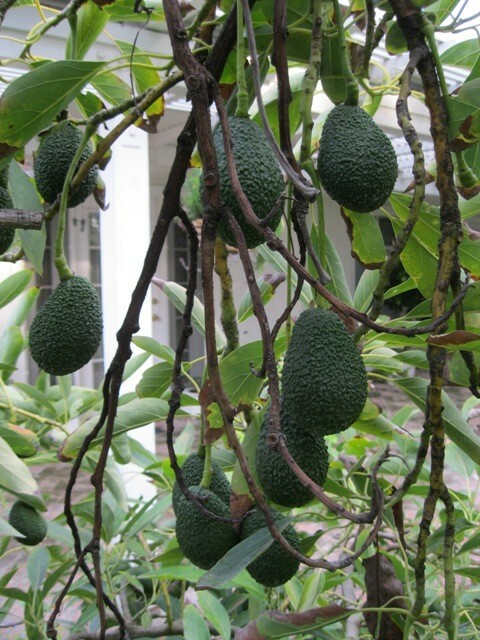 How lucky are you to have a Haas avocado tree? Do they produce fruit all year? Our stores never seem to have a "dry" season. Avocadoes do have seasons, but different areas have different schedules. Sheesh, I'm sorry to have been confusing! I meant the shade thrown by your guests on Aldi might be snobbism or might be them justifying to themselves spending more at other stores. 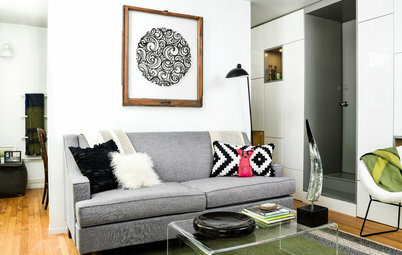 I don't mind spending more if I happen to be at a higher priced store and have no plans to shop anywhere cheaper soon. If I'm going to be at a lower priced store, I'll wait and buy there. 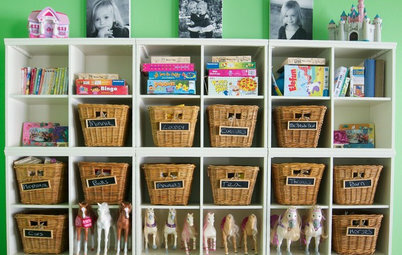 If I'm entertaining, I plan to shop at a lower priced store first, but only get top quality for my guests. Then I go to the higher priced store, where they have a bigger variety, and are more likely to have top quality of ordinary things when they're scarce or out of season or maybe just from a different supplier than the cheaper place that didn't have them. I don't consider shopping at Aldi scrimping, and didn't mean to imply that, though I thought maybe that's what your guests who pooh-pooh'd it throught. My point was that while Aldi is a discount store, if you're buying top quality produce there (others in this thread have mentioned that not all of the produce there is top quality, but some have said they often find top quality), or at any place where you pay less, it's practical and thrifty not shorting your guests. My other point was that shopping carefully for the best produce at a lower price can save money without compromising on quality. At the higher priced stores, one might not have to be as careful and just grab stuff. Someone has already chosen through the produce to only show you the best, and that's reflected in the price difference. Choosing melon instead of berries might be scrimping for daily fare, but I'll splurge on the berries for company. Or I'll buy ground beef and make sloppy joes for daily fare, but spend big time on the best meat for company. Or I'll buy adequate nice organic greens at TJ's instead of stellar lovely organic greens at WF. Lily, our tree bears fruit usually starting early Spring to late Fall...ish. It has had fruit as early as February and into November. Just kind of varies but it's not year-round. I think Mexico has more year-round crops and places like Chile and Peru can add to the mix. There are some other countries, too with growing seasons that help with avocados being sold year-round. Here in California, Fallbrook (north of San Diego) is pretty much considered "Avocado Central" for the entire country. You don't understand the flyers. How the merchandise in the advance notice flyers is geared largely to discretionary purchases and not refilling the basic larder stuff. To give a heads up on special/ seasonal type purchases that are not part of the core inventory. That the intent is to encourage weekly trips to Aldi vs once every two weeks or once a month. Those special purchases go on the floor when they hit the store which may be a few days ahead of the flyer. There is a line of customers waiting for the store to open every day. An orderly line where personal space is mostly respected. At least here in Wisconsin, it is. Can't say about the coastal fringe. No doubt a line forms in good part because the store doesn't open until 9 am. After moms have dropped the kiddoes off at school, after seniors have walked the dog or enjoyed eating breakfast out, after the get-to-work traffic has settled down. Around here the 'nutty' 'stampede' crowd is mostly focused on estate sales. It IS quite naked sometimes around 6 or 7. I wondered why they have odd hours. 9 AM - 8 PM. We have many grocery stores which are open around the clock, but the rest close at 10 or 11. Husband went at opening today and the shelves and produce were packed and so was the store. I have become a big fan but agree that I cannot do my complete shopping there. To my amazement as well as DH's, we seem to be buying more and more there each time we go. Yes to the produce (but selectively). The artisan lettuce like spring mix is great and even cheaper than costco. Somehow we have always been disappointed with the strawberries. Most other items though have been great. The dairy- milk, cottage cheese, yogurts and butter are great and so much cheaper there. The pre sliced deli meat (turkey ) in a tub, in 2 sealed bags works wonderfully for us. Also tasty, and until you open the bag, it's untouched. Just bought their canola oil this week, so cheap and seems like anyone's canola oil. I haven't been too brave with their meats and or frozen items but for produce, and dairy it's been well worth it. Oh yes and they have the big tub of pretzel sticks which are wonderful. Raye: Artemis, is the entrance to your Aldi's a chute that doesn't allow you to choose another aisle first? That would be an unusual design. All the ones I've been in have space between the interior door to either go straight into an aisle or turn and choose another aisle. Nope, not unless I want to jump over obstructions. You may live in a state where the fire code prohibits this, but in the two stores in the two different states I've shopped in, you are shunted through the junk food aisle first. Artemis, that's what I was thinking, that it would violate fire codes to not have an open area around all entrance/exits. Maybe you guys with the funnel entrance have an older store that has not been remodeled? My store used to funnel you in but I just noticed when I was in there the other day that the old barrier is gone; I do NOT have to go down that dreaded snack food aisle at all anymore. Even though I will continue to because it is where the dried fruit, nuts, trail mix are with the produce and milk a straight shot down at the end of that aisle. My store was remodeled and enlarged about a year ago & I just noticed the entrance change! The Aldi in the next closest town has been remodeled and expanded twice in the last 7-8 years. Why on earth is it a problem to walk past the snack foods? I don't buy one of each item in the store, in fact, I walk past most of it! That's a complaint about Aldi? That you have to walk through the snack aisle? Oh my. Life is hard. You want to see a naked shelf store? You should go to my local Kroger on a Sunday afternoon LOL. The only time grocery store shelves - doesn't matter what grocery - are depleted in my area is when there is a major storm pending. Like right now as the PNW is expecting a major (for us) snowfall and possible power outages. Otherwise, there is always a full selection of whatever.......unless a big sale on a particular item. And even then you can get rain checks. Why on earth is it a problem to walk past the snack foods? Not me; I don't care where the heck Aldi puts the snack foods. I do admit to being a bit amused that several commenters found it somehow wrong. "You should go to my local Kroger on a Sunday afternoon LOL." This is typical in my area and for a good reason. In most of California, unionized retail clerks (as is the case in the large chains) get supplemental pay (it used to be time and a half= 150% of normal) on Sundays. That makes it too expensive to stock or replenish shelves on Sunday and so the crews do what they can on Saturday up until midnight and then it is what it is until the crews come in early Monday morning. Sunday isn't the best day to shop for another reason. For those who buy bread, the traditional days off for bakers leads to no fresh bread on Sundays and Wednesdays. Maybe that's changed or the schedule is different in other parts of the country. But here, it's traditionally been that bread purchased on Sunday was delivered on Saturday so it's already one day old. Here both the Walmart and the Meijer are abysmal at stocking shelves and anything on sale will be unavailable, large portions of shelves are always empty. Meijer tells me that trucks come in on Thursday and they stock Thursday night to prepare for the weekend, but it doesn't matter when I go in, shelves are still empty. Walmart is worse. Aldi seems to be better at stocking shelves than either of the other options available to me. In fact, our local Meijer has been out of gallon containers of apple cider vinegar since last April. Yes, nearly a year, and they've re-arranged the store twice in that time, but the space reserved for gallons of apple cider vinegar remains empty. I went to Walmart, couldn't find any and none of the clerks had any idea where it might be, so I never did find it. It's always "not my department" when I ask someone at Walmart. Just as I was wondering if there was some kind of shortage, I finally bought some at Aldi. The only thing that seems to be nearly always unavailable there is whatever meat is on sale. It's available on Wednesday and only "until it's gone", which seems to be instantaneous. annie, I think you've said you live near (not in) a small town? You can be sure that stores in more populated areas restock more frequently than you describe, and often daily. Except Sundays. Because both Friday and Saturday are big grocery shopping days, in a more populated area, a store restocking Thursday night before the Friday opening time would find itself bare for Saturday morning. And so, would also need to fill shelves on Friday. Maybe because I am in Chicago and surrounded with Aldi stores, i have not seen wilted produce or out of stock. To me it seams that they are always restocking shelf and the back door buzzer is going off announcing the delivery truck. Why is it the dreaded snack food aisle? I just walk past it and head for bread and produce. If you buy your milk at Walmart, know that they now own their own dairy farm, put the past suppliers out of business. Are you referring to the Ft Wayne, Indiana milk processing plant? If so, WalMart isn't milking any cows. The milk is being locally sourced. Milk will be sourced from nearly 30 dairy farms in both Indiana and Michigan with these farms being an average of 140 miles from the plant. Kroger & Albertson's made the move to opening their own processing plants before WalMart jumped in. Around here stores constantly restock during the day. I can't remember if they restock on Sunday, or if they're just that lightly patronized on Sundays that it doesn't show. Some stores look a little picked over after 8pm, which is past the after work marauding and before the night shift, but the shelves are never bare. Except, recently at Whole Foods because Amazon hasn't figured out that it drives away customers. And that's just empty or nearly so in spots, not whole sections. If the Aldi stores that are supposed to be around here somewhere are stocked in the morning and left to go empty, they won't survive. There are too many choices for people to bother with trying to shop in an empty store. I was at ALDI today, everything was well stocked including the produce which surprised me. I made mention to a worker in produce how glad I was to see such a huge produce section, we'll stocked, and very nice looking fruits and veggies. She told me this store changed months ago with enlarging this section and trying to keep it stocked at all times. Everything I had on my ALDI list was available...I left as a happy shopper. plllog, from what I have observed in Aldi, the employees all multitask. If not checking, then they are stocking. Stocking goes on throughout the day. The manager also checks and stocks in addition to whatever else his job entails. If a slot is empty in the store, it generally means there is no more stock in that store. Unless they have been busy, have been stocking other items or just haven't got to that item yet. Yes, Elmer, I live near a small town and there are only three options for groceries, those being Meijer, Walmart and Aldi. We do have a university in town, and the joke was that the "kids" went to Walmart and the "old people" went to Meijer, and the families went to Aldi. Then Meijer devoted an entire aisle to beer to attract the college kids, Walmart decided to make their clothing section bigger and grocery section smaller and both have a lot of items tht cater to the college students because there are, frankly, more students than there are residents. As a result, I can't buy a gallon of vinegar to make pickles and the flour won't be stocked for days but I'm absolutely certain that I can always get a case of Bud Light, no matter what day. Or I can go to Aldi. Just one more reason I canned those 700+ jars of food from my garden/fruit trees last year. IIRC Kroger owned their own dairy and processing plant way back when it was only a regional chain. I can't remember the name of their store brand butter, ice cream and milk from back then -- it wasn't Kroger though. annie, that sounds like a major amount of work, to produce the food as well as to process it. Can I ask, why do you do it? To add to raee's comment, I think the same is true of very many grocery chains. I remember back to childhood years, in the 60s in SoCal. Two of the biggest, Safeway and Ralphs, had their own processing centers for dairy items, many deli items, etc. It's not a recent phenomenon and it's done to wring costs out of middle tier processing in the supply chain. Put another way, the store chain can operate that step in the supply chain and save money/earn the profit itself rather than pay another company to do it. There are no Aldi's near me so I'm not at all familiar with them. Yes, owning the processing center is what is called vertical integration. Allows for increased innovation in that a company can begin developing new products with the raw materials as well as expanding into similar products/ development in the same plant. In the case of the Fort Wayne plant, some dairy farmers who had contracts with Dean Foods to supply milk are losing their contracts. Other dairy farms have gained new contracts supplying the WalMart processing center. Nothing new here. The dairy industry has been hurting for years. Partly a victim of their own success....burgeoning supply because better breeding has resulted in cows that give more milk than ever. And a victim of decreasing demand; Americans are consuming less milk per capita than ever. Probably some measurable degree of that can be traced to demographics such as an immigrant population that has a higher percentage of lactose intolerance than Americans of European ancestry. While traditional supermarket operators around the country, such as Kroger Co., Publix Super Markets and H-E-B, have long operated their own milk bottling plants and other dairy-processing facilities, the move is a first for Walmart. As reported in a recent article in the Wall Street Journal, Walmart’s investment in dairy processing follows Kroger’s opening of a fully automated milk plant in Colorado and Albertsons’ debut this summer of a new, versatile milk bottling facility in Pennsylvania. Kroger now supplies 100% of its own fluid milk to all of its stores, the article said. Our Aldi's remodeled about 2 years ago and is much nicer. It is designed to funnel you down the first aisle, but you can turn and go to other aisles easily. The first aisle does have snack foods, but much more than that. We love their Choceur and also Moser Roth dark chocolate (from Germany). I like their bags of almonds-raw, roasted salted or roasted, but not salted. I don't consider either junk food, as long as I don't overindulge. The bread section has a large variety and is a better buy than our regular grocery stores. Produce is also on this aisle and is usually very nice quality and the prices are great. The dairy case is at the end of this aisle, also with very good prices. I have boughten their Boulder 13 gallon trash bags for a number of years, both the one with the tails and the drawstring. I buy their truffles and other seasonal goodies that are usually from Germany. They have a mushroom pasta (again from Germany) and other specialty pastas that go fast when they do get them in. Occasionally I find something on their non-food aisle that is a good buy. I think there is a great deal of variation in quality from one state/area to another. Our store is very clean and well stocked. Glad you started this thread. I like hearing of items that people like-more things to try. Annie: Just an FYI. I, too, had trouble finding the gallons of vinegar in Walmart. I think it used to be near the spices, now in my store they have it on the aisle with the bulk foods.